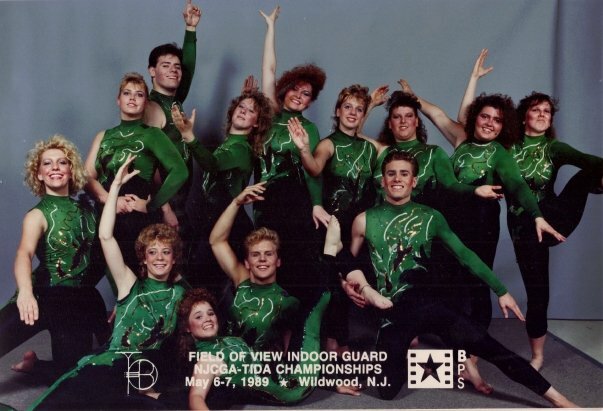 Field of View World Class Guard was formed in 1989 and was a student organization operated through the Student Services Incorporated and the Golden Rams Marching Band of West Chester University. Other founding staff include : Steve Vincent, Lori Graver, Kim Lambert, and Jen Arnst. While the first year was a big challenge, the guard did appear in numerous WGI regionals and WGI World Championships.